Omer Guy is an associate working at the firm's Tel-Aviv office. Mr. Guy specializes in commercial litigation and administrative law. He has experience in representing public authorities in public procurements, including the drafting of tenders and participation in tender committees, as well as representing public authorities, statutory corporations and private companies before all courts, including the Supreme Court, Administrative Courts as well as arbitration and mediation proceedings. Mr. 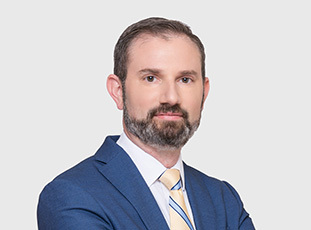 Guy also specializes in maritime & aviation law, and regularly provides legal consultation and representation to insurance, shipping and airline companies. Prior to joining the firm, Mr. Guy worked in the aviation industry for several years, in various positions. In addition, Mr. Guy is also a lecturer at the "Import Export and International Trade" course on behalf of the Israeli Ministry of Economy and the Open University of Israel. During his legal studies, Mr. Guy was a member of the Honors Program for International Commercial Law Studies, specializing in international commercial arbitration. Mr. Guy participated in a course at the International Court of Arbitration (ICA) of the International Chamber of Commerce (ICC) in Paris, and also in the prestigious Willem C. Vis International Commercial Arbitration Moot in Vienna. Disclaimer|©2019 Naschitz Brandes Amir. All Rights Reserved.